Kaio made up a whole little story about how the squirrel got lost and the owl is carrying him home to his family. 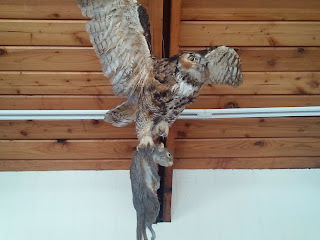 The owl and squirrel really made an impression on him and he continued to reminisce about them for months. 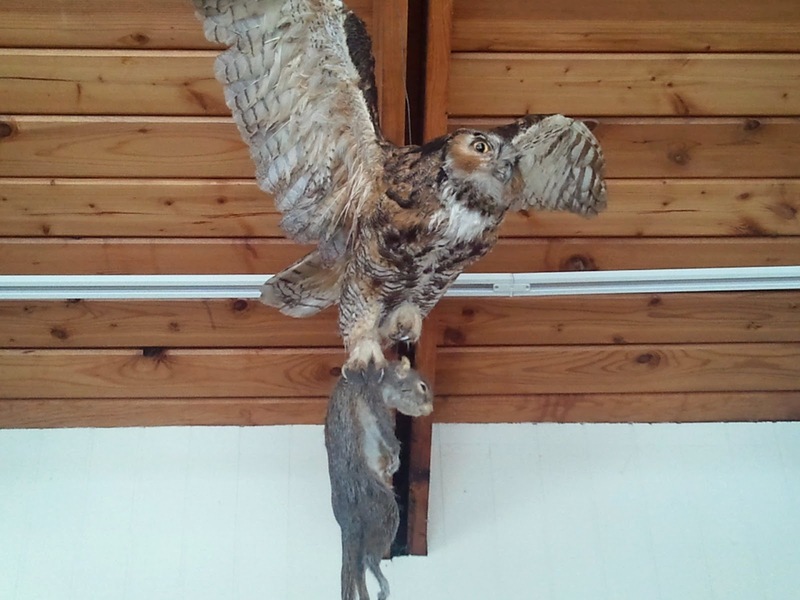 The visitor center specializes in exhibits on regional Native American culture, as well as local wildlife. They have a few aquariums with animals, including a copperhead snake. Surprisingly I left without the SD card to my camera, so all these photos were taken with my phone. The park boasts trails to hike on. 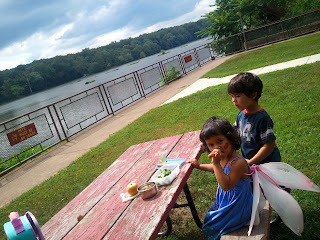 We didn't find them, but did enjoy a picnic on the bank of the Potomac. 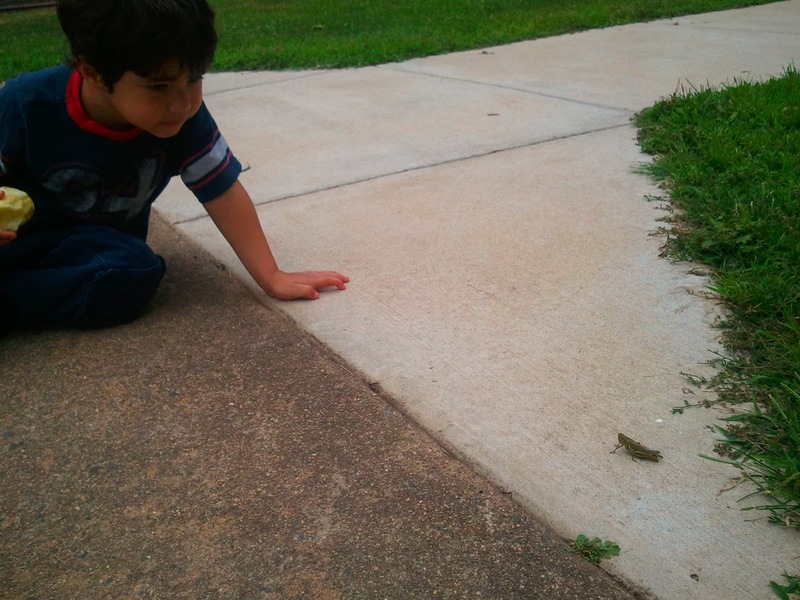 Kaio spotted a BEAUTIFUL grasshopper. 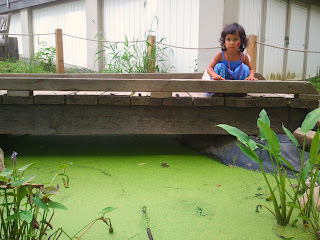 and a frog peeking his eyes out from above the duckweed. Duckweed is edible, and filters excess nitrogen and phosphates from the water. So although it looks like some murky crap from Swamp Thing. It's actually pretty beneficial for the amphibians, animals and fish. 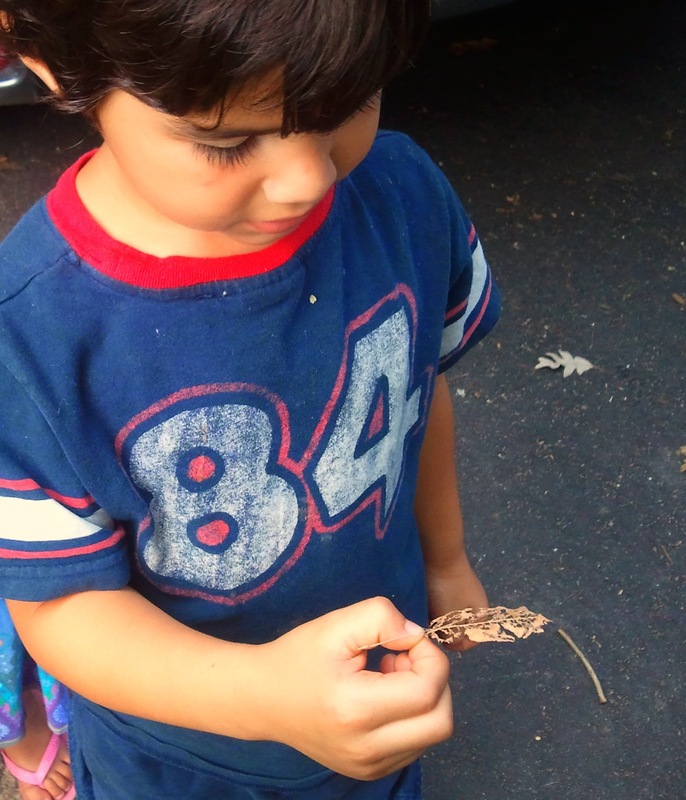 On the way out, Kaio found a leaf 'skeleton.' The leaf had been munched on by some bug before descending to rest on the concrete below. Let's Find it's Family: Nala diligently searches the tree line for the leaf's match. 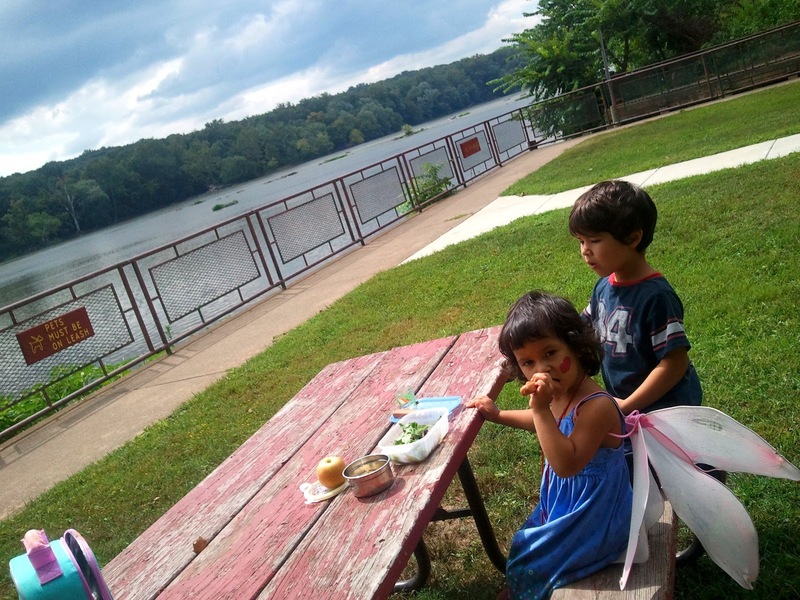 Every year the park holds a Virginia Indian Festival. It's their big annual event. The next one comes up on Saturday Sept 10th. We'll be there!